<\/b>And 2 optional units from a choice of conservation decorative craft units: marbling, graining, complex stencils, free brush work (mall stick) , gilding, hanging specialised wall coverings, and papering complex surfaces. \nIf you have completed induction please include the discount code DEPOSIT PAID<\/b> at checkout. 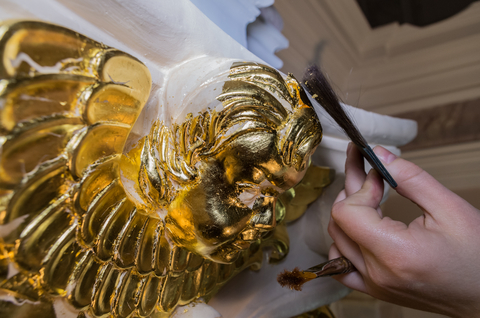 For experienced, professional Painters and Decorators or Scenic Artists who are regularly employed on Conservation/Restoration or Heritage Projects involving supervision responsibilities and undertaking high quality 'advanced craft work' . And 2 optional units from a choice of conservation decorative craft units: marbling, graining, complex stencils, free brush work (mall stick) , gilding, hanging specialised wall coverings, and papering complex surfaces. If you have completed induction please include the discount code DEPOSIT PAID at checkout.